Conservatory Postcard, originally uploaded by JTContinental. The City of Seattle is scrambling to cover a multimillion dollar budget deficit. Now, people close to the situation say Parks and Recreation will take the biggest hit, with first cuts planned as soon as July, according to the Associated Recreation Council, an independent non-profit that partners with the city department. Cuts could include lawn and mowing maintenance for all Seattle parks. Pools and public facilities in all parks, including Volunteer, Cal Anderson and Miller Parks, will not be open to the public any longer, or may have shorter operation hours. While none of the major planned cuts have been confirmed by Parks or the city, CHS received confirmation from a City employee with knowledge of the situation who asked to remain anonymous about the severity – and certainty – of the cuts being planned. The official word from Parks is that the jury is still out on definite cutbacks. There is a Budget Public Hearing scheduled for April 28 at 5:30 p.m. at New Holly Gathering Hall, and a follow-up one on May 4 at 5:30 p.m. at North Seattle Community College. Please stop reporting that Parks budget cuts are a “done deal.” I can tell you unequivocally that they are not. The Superintendent has said repeatedly that “everything is on the table.” In fact, I just spoke with him this morning, and he reiterated it again. While I hesitate to conjecture about what meetings the anonymous employee is referring to, it is possible that he/she is talking about potential budget scenarios that the department is considering. This is a normal part of the budget cutting process. We have not yet received directions from the City Budget Office (CBO) regarding our target reductions; however, we anticipate that we will have to make mid-year reductions, as well as 2011 reductions. To wait until after we receive direction from CBO to begin considering where we will make those reductions would be nothing short of careless. It is our responsibility to the taxpayers to begin having conversations internally about where we can fill the budget gap. Pool and community center closures are being considered, but so is everything else. The anonymous employee, however, said that the cuts are already a done deal and that Parks is already planning the reductions. “To my knowledge there are no more votes on this, and the decisions are final,” said the employee. Cal Anderson Park Alliance president Kay Rood was hesitant to comment on rumors and says CAPA will follow any marching orders they receive from Parks about how to proceed, but haven’t heard any official word yet on what will happen with the proposed budget cuts. Renovation of the Volunteer Park playground (Parks and Green Spaces Levy) -Planning begins in 2011, there are no web documents available. Capitol Hill Urban Center Village (Parks and Green Spaces Levy)– No budget or schedule set yet but Parks hosted a public meeting on a proposed 12,000 square foot property on Federal Ave. E. and E. Republican St. on Feb. 23 of this month. Garfield Playfield lighting replacement project (Cumulative Reserve Subfund): Part of an ongoing project to replace outdated light systems, the total cost for this project is $11 million and construction began in November of last year. Garfield Playfield infield improvements (Cumulative Reserve Subfund): Budget of $50,000 but was almost completely funded by King County Youth Sports Facility Program. Construction began February of this year and is scheduled for completion in April. John and Summit Park: Construction documents are complete. The project is expected to bid in February and construction is expected to break ground in spring 2010. Meanwhile, people working to maintain existing Parks assets are concerned. Friends of the Conservatory, a group established to advocate for Volunteer Park and the Conservatory, are extremely worried about budget cuts within Parks, and they fear that the 98 year-old Conservatory is facing permanent closure. The Conservatory officially opened in 1912, is free to the public and is one of only three Victorian-style greenhouses on the West coast. It is an extremely fragile building, and the city has spent millions to restore it since the Friends of the Conservatory fought for funding in 1980. Friends recently applied for a grant from the Opportunity Fund of the ProParks Levy to rebuild an aging support greenhouse. They have been working hard to get the entire facilities renovated by the official centennial celebration in 2012. They only have a third of the building left to renovate before it’s finished. The Friends of the Conservatory sent out a newsletter through their channels last week, officially recognizing the fear of closure to their supporters in an attempt to rally the troops around saving the Conservatory. 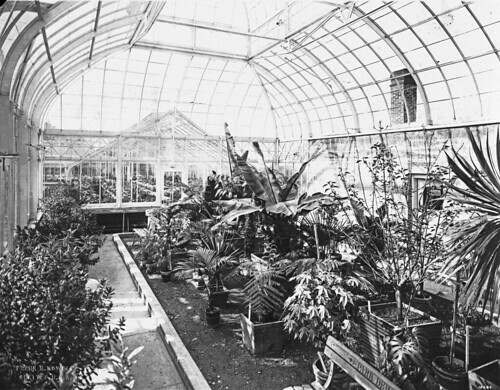 Volunteer Park Conservatory, 1914, originally uploaded by Seattle Municipal Archives. The annual Friends of the Conservatory meeting is open to the public and scheduled for April 27, and the annual Plant Sale is on May 8. The group says they will have more information available at those gatherings. Potter said that concerned citizens should reach out to Parks Superintendent Tim Gallagher through e-mail or snail mail and can also leave comments through an online form on the Parks website. Many Seattle Parks and Recreation facilities will be closed on Friday, April 9, and Monday, April 12, for a furlough day. Youth Violence Prevention Initiative sites will furlough on Wednesday, April 7. ·Community centers (except child care and late night programs, which will still operate). ·Golf courses will operate as usual. ·The Seattle Aquarium will assign furloughs individually to ensure that its 24-hour animal care responsibilities are met and that it stays open to the public. surely if the good people of seattle can rally to save a half hour fireworks spectacle, we will somehow save the parks, right? Private donations vs. shrinking tax dollars. Not the same pot of money. The fiscal problem of cities, counties and states is real. Less money, hard choices. I can see cutbacks of service, but not closing parks, yet. My rant: WHY would we reduce/close/ruin THE crown gem of Capitol Hill, Volunteer Park and the conservatory…while starting a lame park project that would have nowhere NEAR the beauty, history, charm, impact of Volunteer Park. (the newly planned Federal/Mercer “park”) I live right there. I would ANY DAY rather walk over to Volunteer Park in all of its majestic beauty than hang out in a square city block that probably should be used as housing to help densify the neighborhood. The model should be urban density surrounded by gorgeous parks for all to go to and use. IMHO, city block parks just aren’t that pretty or exciting. Agreeded – pocket parks are usually nothing special. In fact, they get quite run down and neglected. Lack of focus to not do well what we already have? 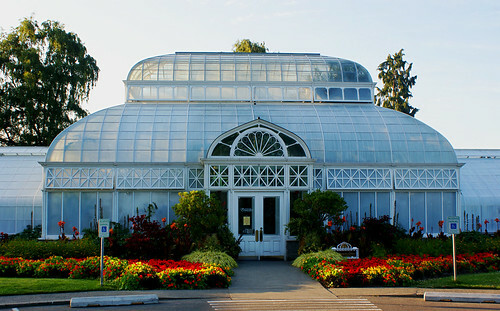 The thought of losing the Conservatory at Volunteer Park literally brings tears to my eyes. I totally agree – this would be a tragic loss. Leave feedback – I just left a feedback on the Parks on-line form! The Parks Department needs to hear from the people! If you get a chance, can you please submit a comment to Seattle Parks Department expressing that they should not close the Conservatory: http://www.seattle.gov/parks/contact/Form.asp. I wrote them this morning and they immediately wrote me back, so they are listening to feedback. I also wrote the Cap Hill Chamber of Commerce to get them involved. Perhaps this may all be in vain, but at least we can go down fighting for one the real treasures of our neighborhood. As with all city departments, funding is not just in one giant pot. The funding for the Federal/Republican acquisition was made possible through the 2008 Parks Levy. This levy, along with the 2000 Parks Levy, was a set of specific projects that voters approved, including all of the ongoing projects listed above. The city can’t simply take this money that voters approved for one thing and use it on something else. This seems similar to the uproar over the library funding, when people thought the Capitol Hill library would be closed forever and instead we actually got increased hours. I also think it is important to look at this in a citywide context. It isn’t like Volunteer Park and Capitol Hill are being targeted disproportionately for cuts. As Mr. Hammerstad says, “everything is on the table” and if the conservatory needs to be closed three or four days a week so that other community centers and parks can remain partially open I think that is fair; we all need to be sacrificing. I appreciate the article bringing public attention to the looming budget crisis and encouraging citizens to stay involved as the process moves forward. But I think it could have done without the scare tactics about the conservatory. We should have faith in the Parks Department’s ability to make equitable cuts and to ensure that all Seattle citizens can get the most out of our green spaces even in these difficult financial times. As a native Seattlite I am astonished to hear the City would even consider cutting funding to the operations of the Volunteer Park Conservatory – let alone entertain the idea of shuttering it. That would be just as damaging to our cultural fabric as tearing down Pioneer Square or ripping out the Pike Place Market. Remember the outrage when the Pergola was damaged? That is nothing compared to this alleged threat. It would be a shameful thing to waste what little we have in the way of history in this beautiful city. Truly a grievous mistake. I can appreciate that there are different budgets from which operations and acquisitions are funded by. But let’s understand one thing. There is only one ‘pot’ from which these budgets are funded: Taxpayers. Let’s properly fund what we have instead of getting too big for our britches. Thank you for sharing your experience with the parks department. It convinced me to do the same thing, and ask my friends to contribute as well. I heard recently on NPR locally (KPLU) a story highlighting a City program funding “artist in residence” for an architectural firm that had the “artist” on hands and knees running blue painter’s masking tape throughout their offices… This is a private business having this stuff done on public money and we don’t have enough money for public parks. I guess we get the gov’t we deserve. This post speaks to the rather trusting nature of the poster. You trust city bureaucrats to have a clear vision and a clear and focused perspective — do so at your own peril, or rather the peril of the things you love about the city.. They don’t … have that focus. Strong public outcry pulls them up short all the time. History tells us the city wanted to tear down the public market years ago. Think about that Josh. One of the most acknowledged attributes of Seattle is its beautiful and welcoming parks. It will be truly a shame if they are closed or left without care. Our parks are well used and appreciated by the community of Seattle. The Conservatory is a very special part of the parks system where plants are not only displayed but also cultivated by expert gardeners. The age and archetecture of the structure is irreplaceable and to let it go would be tragic. I work on Capitol Hill and live in the Seward Park neighborhood. I have walked Seward Park daily for some years and each day it is still interesting and beautiful and ever changing. It is a part of my life style as well as that of my neighbors. Everyone is feeling the downturn in the economy and the parks remain an affordable pleasure we all can still access and enjoy. The parks need to be respected and protected by our elected officials who make these decisions. The cuts over the past few years to park employees and now the prospect of closing the parks are just not acceptable. I often go here for quiet in our busy city, and take tourists, godchildren and friends to see this gem on the hill. We often go eat in the neighborhood afterwards, spending money in local places. This jewel brings me out of West Seattle to spend my time and money as I show natives and visitors alike this gorgeous antique of a quiet space. I sure hope they continue to fund this rare jewel of a place. I absolutely agree with you. Pockets parks are nothing much special. Infact, instead of making such pocket parks, i would suggest the conservatories at home. The parks maintenance crews are well compensated, much more than the private sector. It simply isn’t sustainable when the economy is in a recession. keep each of the parks; especially Volunteer Park with the Conservatory, up and running if the budget cuts actually happen. I don’t live in the city of Seattle, but I would gladly volunteer my time to maintain the gardens and the Conservatory, at Volunteer Park. Each park in Seattle could start their own volunteer program to keep each neighborhood park a place for people to go, and looking well and maintained through this time of financial upheaval. Looks as if the Conservatory will be spared. However, they have a robust volunteer program in place. If you’re interested, go to their website and contact them about volunteer opportunities.